The last thing you want to worry about during a family holiday is all the luggage tagging along with you. Cases which aren’t sturdy or spacious enough, can’t be transported easily or are just too bulky to handle can test your patience, especially when you’ve set out to enjoy your vacation but wind up trying to maneuver your belongings all over airports and up and down hotel lobbies instead. Functionality is the key word when it comes to picking travel cases – options with roomy interiors to hold all your belongings comfortably, but with a sturdy, travel-enduring exterior that can withstand some rough handling, are instant favorites. A set of all that for the whole family, and you’re game for that annual get-together. Let’s take a look at our top picks for the best luggage sets for your next family holiday. 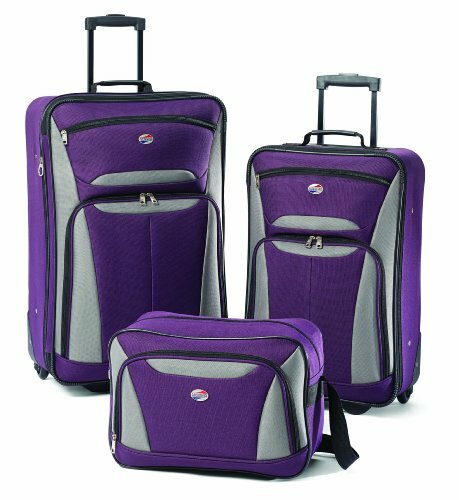 Stylish and youthful, with 3 piece luggage sets available in eleven classic colors, from neutral black or silver gray to vibrant purples and lime greens, Coolife highlights the fun in functionality. 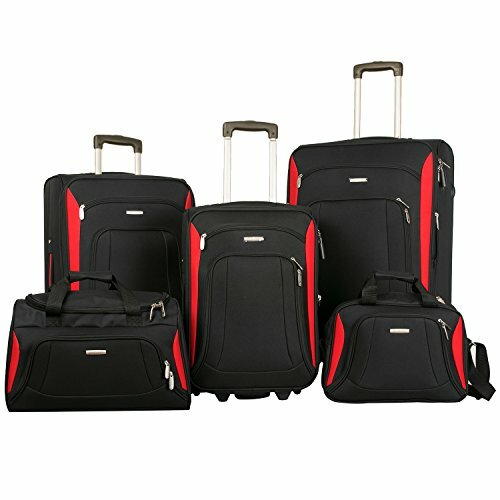 With smooth handling courtesy of silent, 360 degree spinner wheels giving you maximum maneuverability, these lightweight luggage sets are constructed out of Acrylonitrile-Butadiene-Styrene (ABS), a highly durable plastic that can resist drastic temperature changes and other harsh external conditions. Armed with ergonomic, adjustable handles, you can slide these cases around with ease. These lightweight travel cases are available at 20, 24 and 28 inches, compact enough to fit into each other for storage when you’re at home, but roomy enough to hold everything you need for a vacation as well as souvenirs on the way back. The smallest size is perfect to use for carry-on luggage for your in-flight essentials. Lined with mesh zip pockets and expandable functions to make the most use out of the suitcases’ capacity, you get to compartmentalize your belongings safely without worrying about your luggage’s contents getting into a mess. 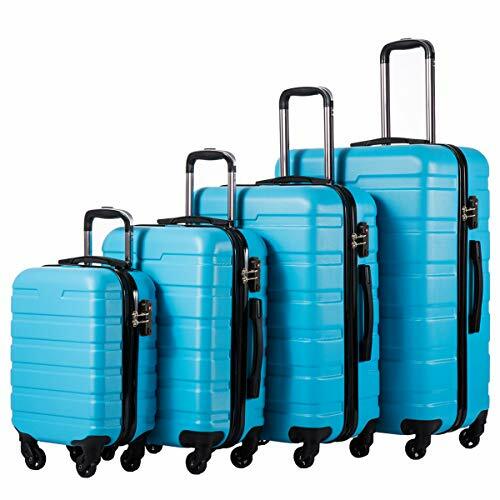 As the affordable counterpart to the more upscale ‘Brookfield’ line of American Tourister luggage sets, this trio of suitcases is made of 100% polyester, a popular material choice for soft-sided luggage. Built to be lightweight but highly durable, with reinforced corners to help your luggage withstand any damage, there are two suitcase options for check-in, and a tote ideal for carrying on into your flights. Lined with fabric and equipped with multiple internal and external pockets, the biggest case of the set, of dimensions 26” x 17”, has a zip-down function that lets you expand the interior for more room. Available in 5 color options, these suitcases are sturdy, functional and visually appealing without being too fancy or garish. This versatile 4-piece set is made of nylon – the favored material for soft-sided luggage due to its high durability – and is highly resistant to strain, tears and damage. With a denier rating of 1,200, the material is the ideal degree of thickness for larger suitcases and extensive travelling, but not so heavy that it maxes out the amount of weight you’re allowed to check in with most flights. 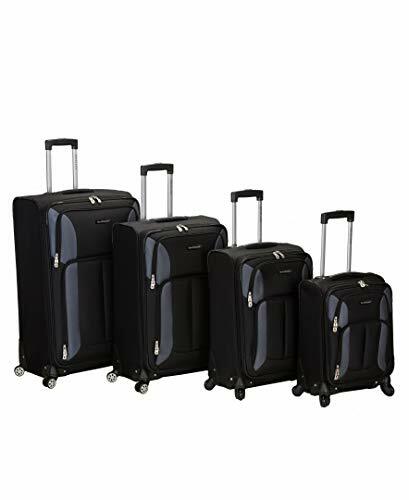 Equipped with 4 silent, 360 degree spinner wheels for perfectly smooth maneuverability, the ease of moving these roomy, resilient suitcases is aided further by the telescopic, ergonomic handles. Fitted with internal mesh and elastic pockets to help you compartmentalize your belongings, you’ll be travel ready with this set of four, available in nine neutral colors for the best functionality. Made of a 100% resilient and lightweight polyester that will let you pack in the extra pounds of weight into your travel case without going over the baggage weight limit, these expandable cases let you increase their capacity by up to 25%. Perfectly capable of being fitted into one another to make the best of your storage space, the set is decked out with internal pockets to let you keep your clothes, shoes and other essentials properly sorted, as well as zip-up external pockets for items you need to be able to access immediately, like travel documents. With two 15 and 18 inch options suitable for carry-on luggage and your airport and in-flight essentials, and three you can check in so you can transport all that shopping you’re about to do back with ease, the cases are available in three standard but pleasing color combinations. One of the most unappealing aspects of travelling, hands-down, has to be all the dragging around of bulky luggage, hauling it through check-in, fretting in line after a long flight trying to figure out how your exhausted selves are going to manage the cases as you head off to your destination. Picking the right cases solves a huge part of the problem. Lightweight is usually a good way to go, especially when you’re travelling with multiple suitcases and family members you need to coordinate. But lightweight shouldn’t come at the expense of durability. We recommend picking suitcases built of resilient stuff that’ll resist all the bumps and manhandling baggage typically goes through as they’re loaded on and off aircrafts. If you’re looking for hard-sided luggage, ABS plastic is a great material to opt for because of its extreme resistance to harsh, external conditions. The enduring plastic also makes for some stylish, bright or colorful options you can use to personalize your luggage, or simply make them easier to recognize as the conveyor belt slides past at baggage claim. On the other hand, if you’re concerned about weight, or want to maximize space, soft-sided luggage made of nylon or polyester are good options, as they’re both highly durable and resistant to tears or damage. However, it’s important to take into account the denier rating or thickness of the material in question. Generally, a denier rating between 500 and 2,000 is recommended for big suitcases you intend to use for long-term travel needs. Another highly convenient feature is multi-directional spinner wheels. Four of these fitted to your suitcase let you quickly stop, turn and steer your luggage around without awkwardly trying to change direction or lift heavy cases as you try to move briskly from place to place.